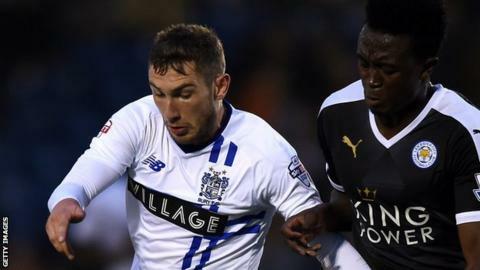 Winger Danny Mayor has signed a new contract with League One side Bury, keeping him at the club until 2019. The 24-year-old was named League Two player of the year last season after helping the Shakers to promotion from League Two with eight goals. The former Sheffield Wednesday man has already scored three goals this term, with Bury fourth in the table. "Danny is an integral part of our squad and is a massive part of the future of Bury," said chairman Stewart Day. "Danny feels he has a home with us and we are only too happy for him to continue helping us push the club forward." Mayor began his career Preston and has also had spells at Tranmere and Southend.